For centuries, scientists have been making discoveries that have changed the way we do things today. 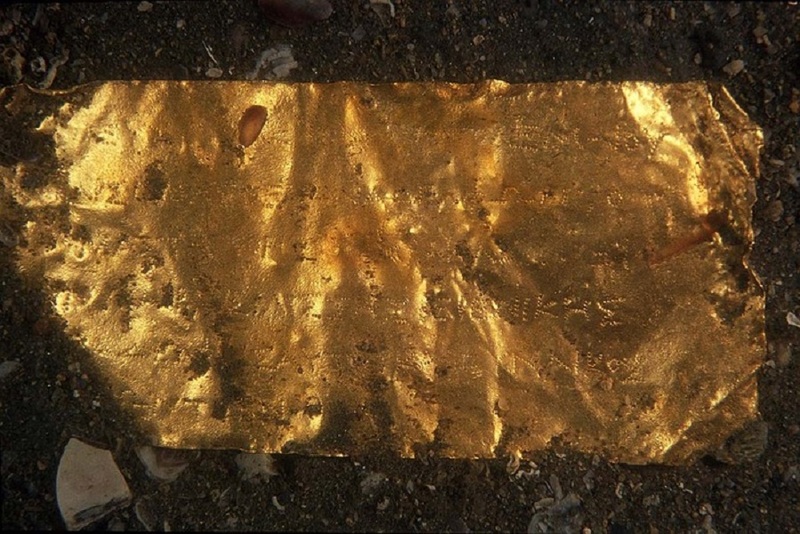 When it comes to the environment, there have been a handful of cases of undiscovered land and ancient relics. This is where we find Franck Goddio, who is a former economic adviser for the UN. While he gained his degrees in mathematics and statistics from France’s École nationale de la statistique et de l’administration économique, he wanted something more out of life. With the help of several individuals, he made a massive discovery that changed one of the most beautiful countries in Africa forever. Since the early 1980s, Franck Goddio has been involved with underwater archaeology, and his main inspiration was his grandfather Eric de Bisschop, who invented the modern catamaran. 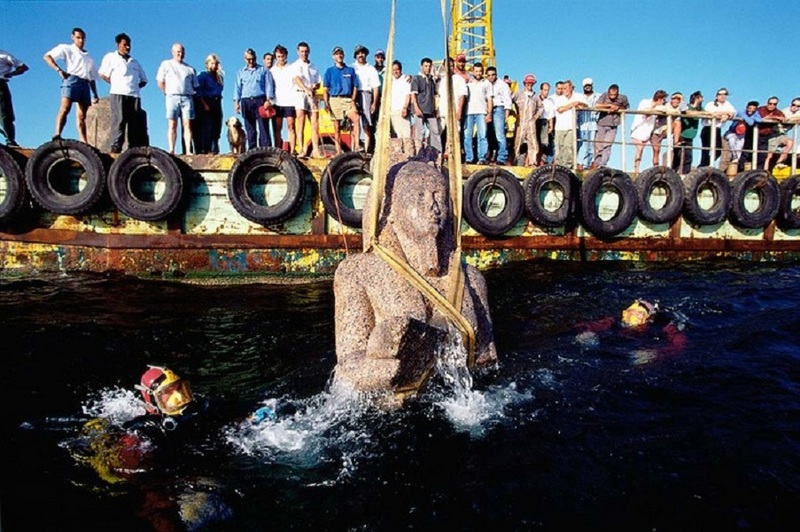 With the formation of the Institut Européen d’archéologie Sous-Marine in 1987, the French native decided working on discoveries of lost cities and shipwrecks. 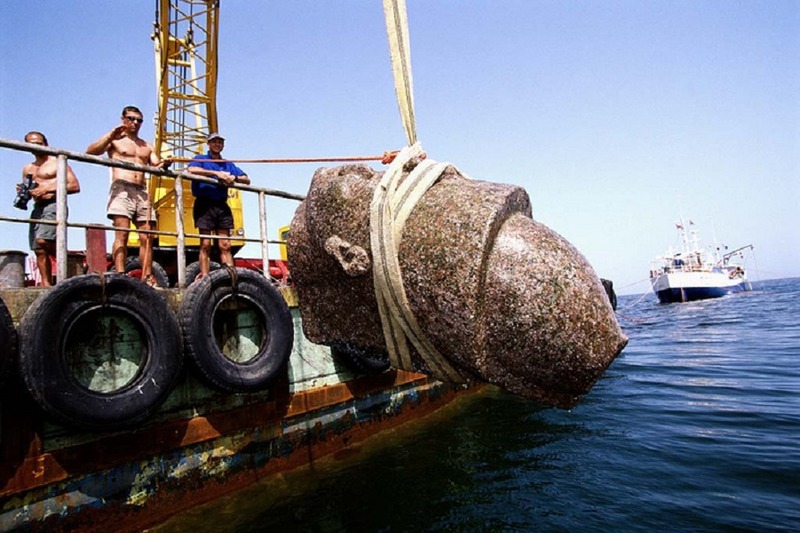 In 1999, Goddio went out to Aboukir Bay near the Nile on a quest to discover new land. Three years prior to this search, the man did a plethora of research about this untapped area. Feeling somewhat in a jam, Goddio decided to give his search a bit more power. Goddio brought 40 other people to aid him in unearthing this new piece of land called Canopus. He aspired to find this specific city on the journey, but that fell short. With a small taste of what could have been, he plotted to return to the area the following year, and that’s when things got interesting. Goddio returned to the scene of his last failed attempt, but this time, he wandered a few miles away and started surveying the region. 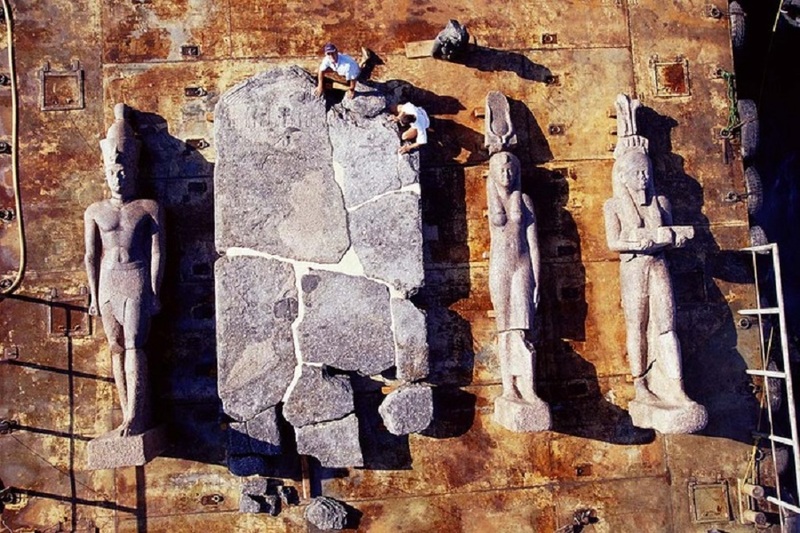 During this excavation, he discovered part of a wall, which was made out of limestone blocks. Further investigation led to him finding out it was part of something bigger. A 330 ft wall was uncovered, which gave Goddio hope in his journey. After some more careful examination, he realized that he found the Serapeum of Canopus, which was dedicated to the goddess Isis and her consort Serapis. 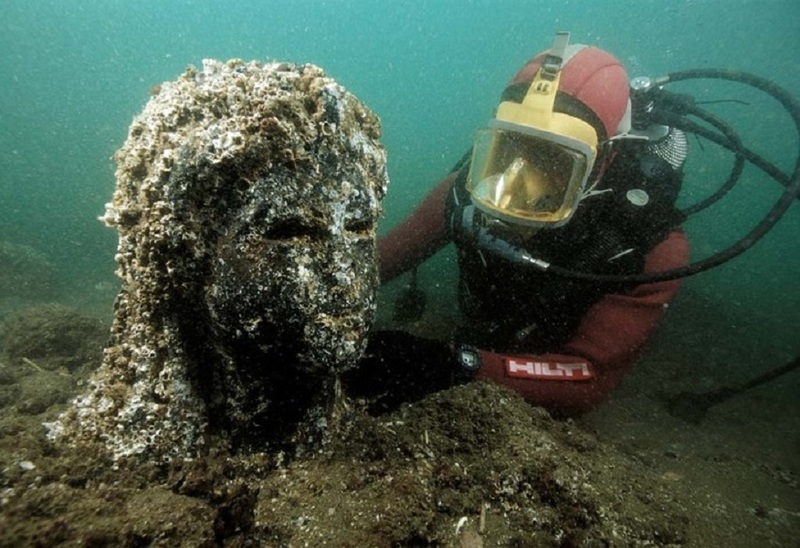 It didn’t just end there for the underwater archaeologist, who made another discovery.